A pond filter is almost indispensable in any pond. It introduces sufficient oxygen into the water, as a result of which the water is kept clean, clear and algae-free. Since you have a laid a beautiful pond you want to enjoy it of course continuously. Pond water will become often turbid and dirty after a lapse of time. Fortunately you can solve this problem easily. Using a proper pond filter you can keep your pond water beautifully clear and clean. 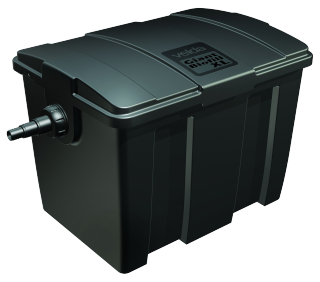 If you do not keep fish, a filter is not absolutely necessary, however, such a pond filter will keep the water clear and it is installed in no time. A combination of a mechanical preliminary filter and a biological filter works best in practice. 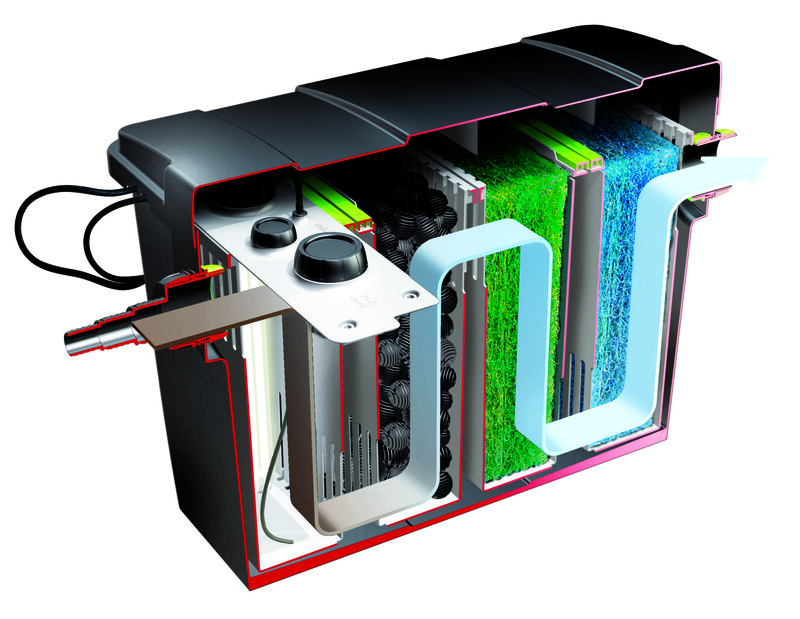 First you remove the moving particles from the water with the mechanical filter and then you add carbon dioxide with a biological filter or biofilter. That is good for plants and fish. What kind of pond filter and filtering materials are suitable for your pond, depends on the type of pond, its water content and its stock of fish. In a multi-chamber filter or flow filter the pond water will pass through various filter materials. The water is being circulated by a pond pump. In the initial phase of the filter the coarse dirt is stopped, for example by filter foam. Then the water is flowing through biological filter chambers with filter lava. This contains very useful bacteria, which are good for your pond. Finally the water will pass through a fine filtering device by means activated filter carbon or zeolite. If you use a pressure filter you can also feed waterfalls or fountains with clean and clear water. Do you have much room and a koi or sturgeon pond, you can make a helophytes filter or marsh filter. When buying a pond filter you should always duly bear in mind a few things. What kind of pond do I have? How big is my pond? What is my stock of fish? A pressure filter is convenient in ponds containing 10,000 to 15,000 litres but also if you have, for example, a waterfall in your pond. If you keep koi carps or sturgeons in your pond, a UV filter will be very convenient. If you have sufficient room in your garden, you can make a helophytes filter or marsh filter.